We are the little church in the meadow behind Duck Creek Village at 830 East Church Drive. 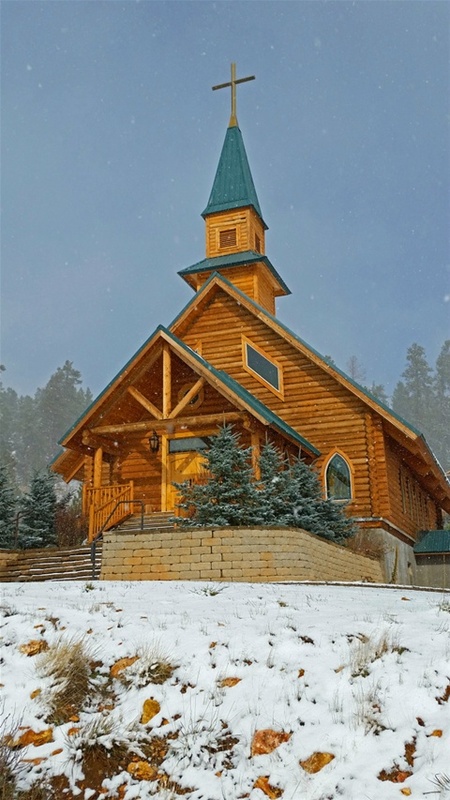 Duck Creek Community Church is located in Duck Creek Village and can be seen standing tall in the meadow just behind the Village. 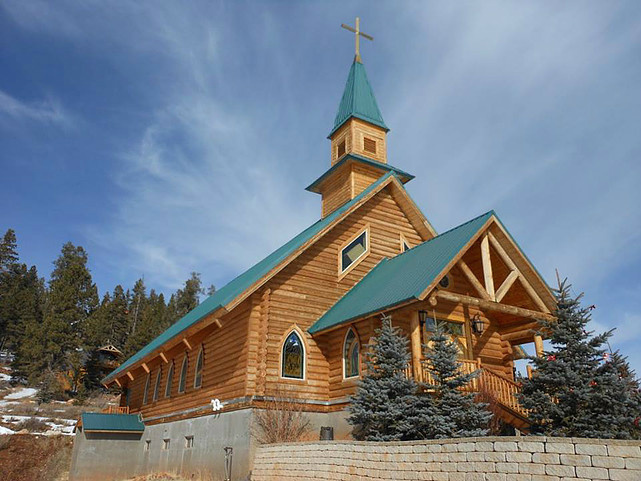 It is a non-denominational, Bible-believing church with a focus on reaching the people of the Duck Creek area and beyond with the good news of the Gospel of Jesus Christ. Sunday services begin at 11 a.m. and feature live teachings. Special services include Christmas Eve, Easter, and Palm Sunday, and services to thank our Lord and Savior at Thanksgiving, as well as services to honor parents on Mother's Day, Father's Day, and additional church activities such as Harvest Night, held the last Saturday in October, to support the families of the mountain community and surrounding areas. Duck Creek Community Church is an active church with involved members. Services and support ministries are marked by relevant worship and consistent teaching filled with Grace. Duck Creek Community Church is a family ministry with the ability to impact people of all ages and backgrounds. Members call DCCC the "Church of Miracles". 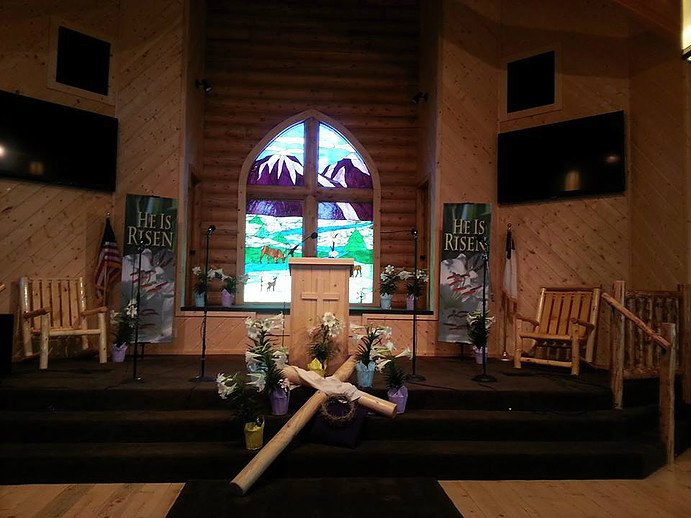 The church decorated for Easter services. 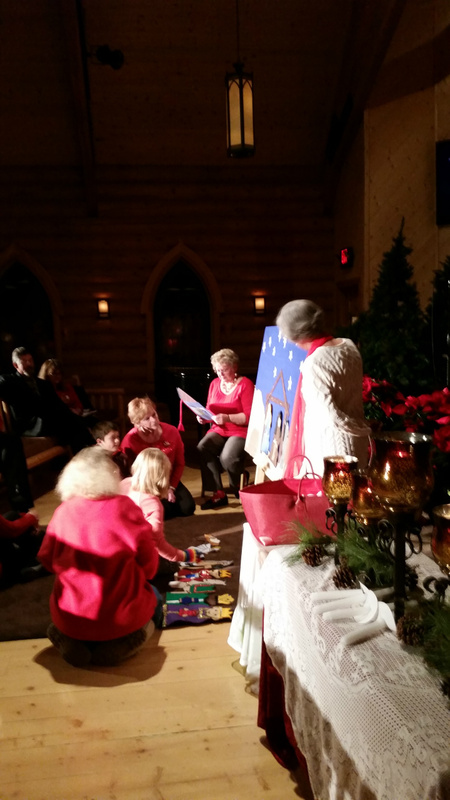 Reading the Nativity story with children Christmas Eve. 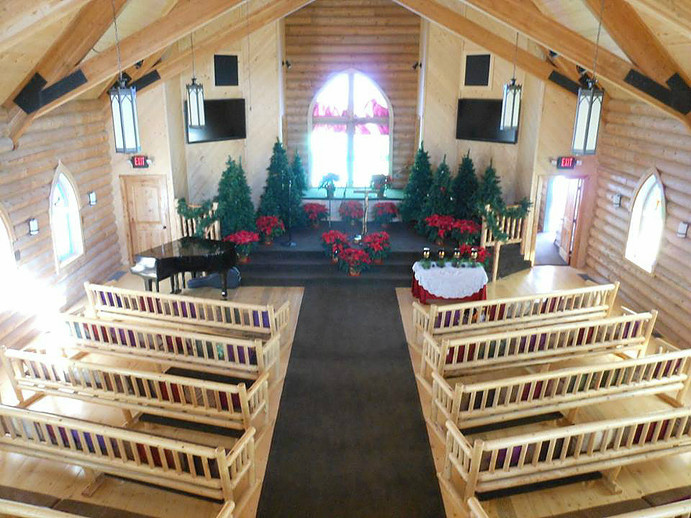 The church decorated for Christmas services. 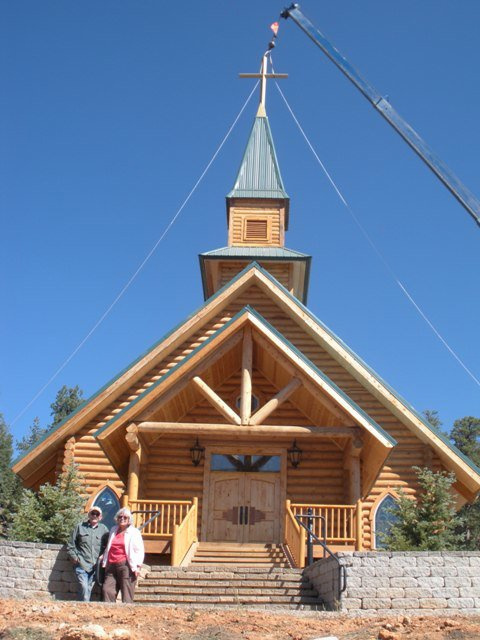 Raising of the church steeple.